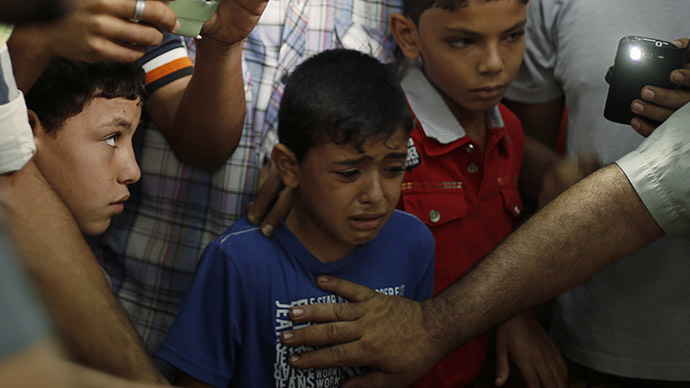 Nine children have died in Gaza violence since Wednesday, the chief of UNICEF’s Gaza field office, Pernilla Ironside, said at a press conference on Thursday in New York. 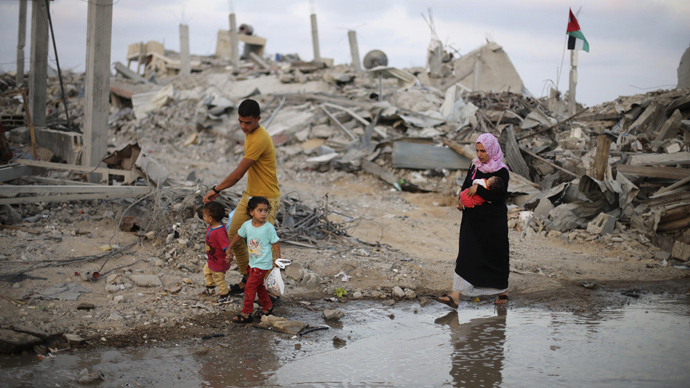 “There isn’t a single family in Gaza who hasn’t experienced personally death, injury, the loss of their home, extensive damage, displacement,” Ironside said. She stressed that while 373,000 Palestinian children are in need of “immediate psychosocial first aid,” UNICEF only has 50 psychologists and counselors on the ground in Gaza. Those specialists were able to reach just 3,000 children. “The impact has truly been vast, both at a very physical level, in terms of casualties, injuries, the infrastructure that's been damaged, but also importantly, emotionally and psychologically in terms of the destabilizing impact that not knowing, not truly feeling like there is anywhere safe place to go in Gaza,” Ironside said. UNICEF estimated that at least 219 schools have been damaged by Israeli airstrikes, while 22 were completely destroyed. 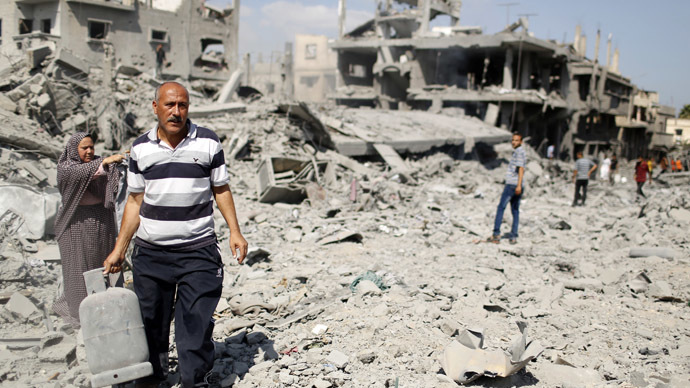 To demonstrate the extent of the damage in Gaza, Ironside estimated that it could take up to 18 years to rebuild the 17,000 housing units that were damaged in the conflict and in light of the ongoing blockade of the region limiting the movement of goods and people. 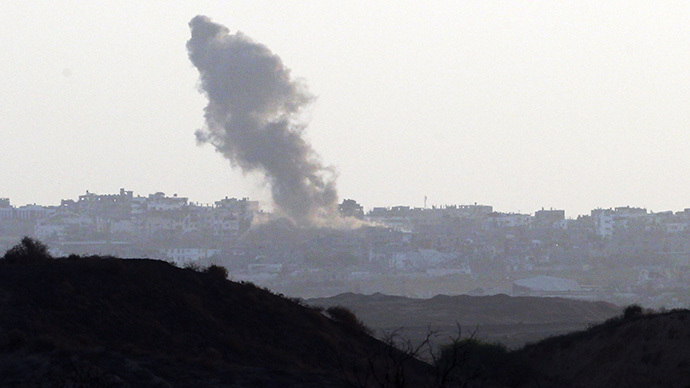 Israeli-Palestinian rocket fire resumed on Tuesday after Gaza truce talks broke down with both Israel and Palestine threatening to quit peace talk negotiations. On Wednesday, UN Secretary-General Ban Ki-moon condemned “in the strongest terms” the breach of the Israeli-Palestinian ceasefire, adding that he is “gravely disappointed” by the renewal of hostilities in Gaza. “The Secretary-General reminds both sides of their responsibility not to let the situation escalate. The hopes of the people in Gaza for a better future and the hopes of the people in Israel for sustainable security rest on the talks in Cairo,” the statement said. 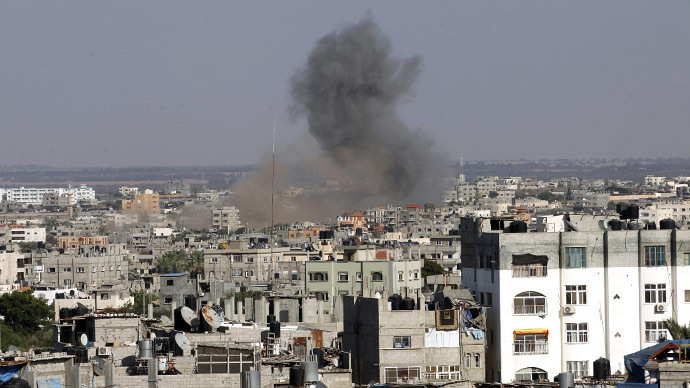 The overall death toll in Gaza has exceeded 2,000 since Israel’s government launched operation Protective Edge on July 8.